London continues to be a breeding ground for influential indie rock and in turbulent times it simply crafts some of our greatest artists. This latest band is no exception and is proof of the continuing tradition of great acts to come from across the pond. Goat Girl are the band that defines our current times. 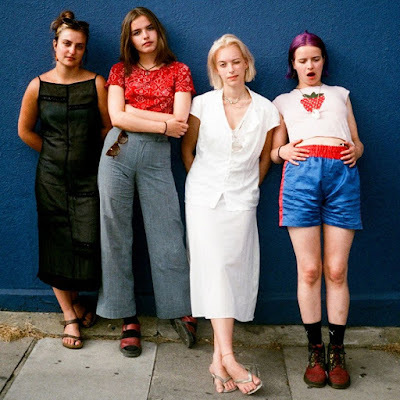 The South London four-piece combine the guitar work of The Smiths as well as the girl power of The Breeders and the playful but quirky folk attitude of The Roches. This week, they will release their 19-song self-titled debut and made their way to SXSW where they took Austin, Texas, by storm. “Simply put, it’s an album that comes from growing up in London and the first-hand experience of our city’s devolution,” say the band in a press release about the record. This is a band that will have all of the taste makers of the years talking and one you want to jump on now.